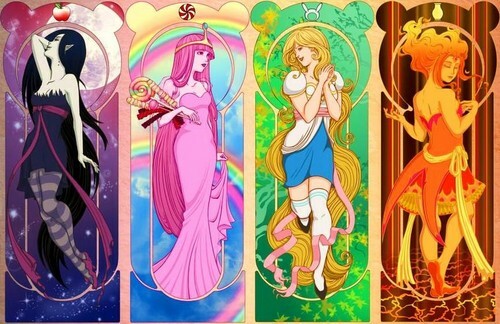 Adventure Time Girls. . Wallpaper and background images in the Adventure Time club tagged: adventure time princess bubblegum marceline flame princess fiona. Cool... Now this is what I call "real life version". I think that they reversed Fionna's personality. Look! There's a big different!